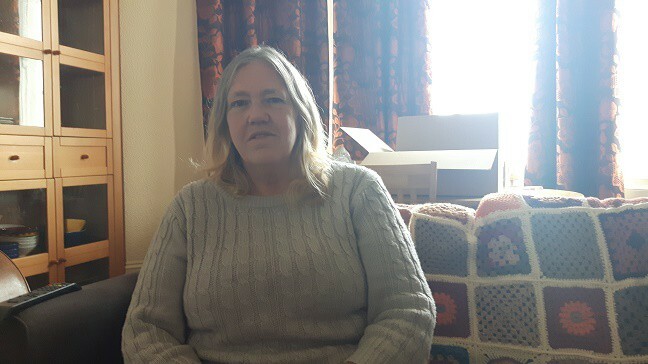 A great-grandmother in Westbrook says she has had the worst year of her life after a neighbour racially and physically assaulted her daughter, verbally assaulted her and then she was served with a section 21 eviction notice from her flat. Brenda Vidal, 61, says she feels as though she is being punished for taking her neighbour to court after the attack in January. Th mum-of-three, from Seaview Terrace, says her nightmare began when her daughter Anita, son-in-law Chris and two grandchildren, arrived for a visit. The family had last year been evacuated from Dominica in the wake of devastation from Hurricane Maria. Brenda said: “It started on a Friday, we heard shouting outside and it was my neighbour shouting at Anita’s husband. Anita went to find out what was happening, and he changed and said he did not know I had visitors. We just put it down to the fact he had been drinking. “Then not long after Anita, Chris and two friends came over. Anita and her friend were talking in the lobby when we heard a fumbling at the front door. It sounded like my neighbour couldn’t get his key in the lock so Anita’s friend opened the door for him. “He came into the hallway, swearing and getting really angry and was shouting in Anita’s face. “He started to go upstairs and then raced back down and went for Anita. He was pushing and shoving her in the chest, pushed her against the unit and was shouting racist abuse. Brenda, who has 11 grandchildren, says the group shut themselves in her flat but the neighbour tried to force his way in. She called the police and later reported the incident to her landlord. Her neighbour, Chris Solly, was convicted and sentenced at Margate Magistrates’ Court on September 3. He received 12 months conditional discharge for racially/religiously aggravated common assault and a £300 fine for racially/religiously aggravated fear and provocation of violence by words. There was an uplift of the original sentence (9 months discharge and £200 fine) due to the crimes being motivated ‘wholly or partly’ by hostility based on perceived religion, race, sexual orientation or disability. But that was not the end of the ordeal for Brenda who says Mr Solly remains as her neighbour and her landlord has served her with an eviction notice. She was ordered to leave by August 31 but remains at the property. Her landlord is expected to take the procedure back to the courts. She said: “The council has allocated me to a homelessness officer. I’m registered on Kent Home Choice but there is nothing there. I just have to stay put until the bailiffs come. “It’s been horrendous. My daughter doesn’t want to come down from Milton Keynes and visit me here, especially after the children already went through everything in Dominica, and I feel like I am living as a prisoner because my neighbour is still here. “I went to the police station and they said they would look at an harassment case or, if not, I could get advice on how to take civil action. Sounds awful for the lady. These evictions should not be allowed to take place. The housing laws today leave no security for tenants. What the hell is going on this is so wrong. Sounds like the council and the police have got a lot to learn about protecting the innocent and and prosecuting the evil wrong doers! Curious why she is being evicted. What reason was given?